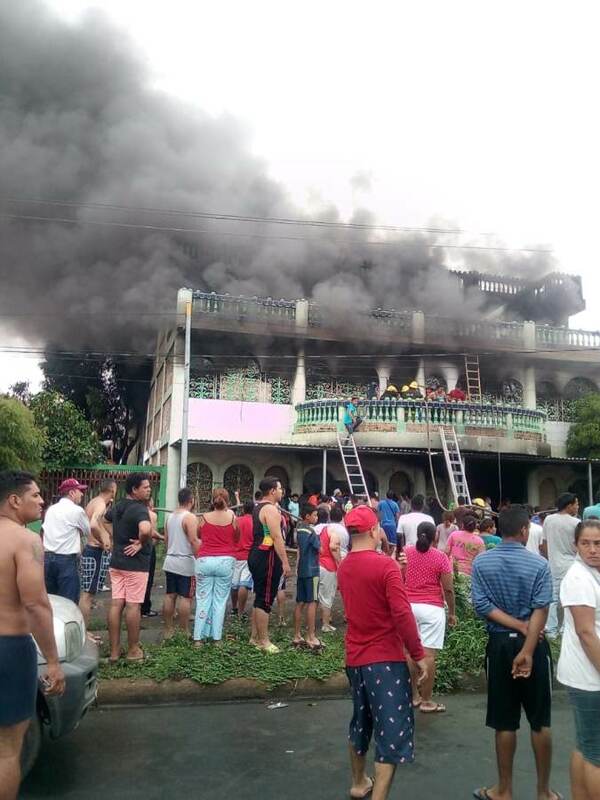 Despite the surprise announcement Friday night of the consensus between the government and the Civil Alliance, this Saturday morning, in the barrio Carlos Marx, in Managua, an armed attack allegedly committed by police and armed civilians left at least seven people dead, including three children, when they set fire to a three-story property, according to preliminary information. “They killed my family, my mother, my children …”, said a woman, not identified so far, in a communication referring to the people burned in the three-story property. In addition, neighbors say that when they went out to help to put out the flames, they were shot at. Residents close to the fire said that at the time of the fire, people were still inside and preliminarily 4 people were reported dead. The victims could be as high as seven. 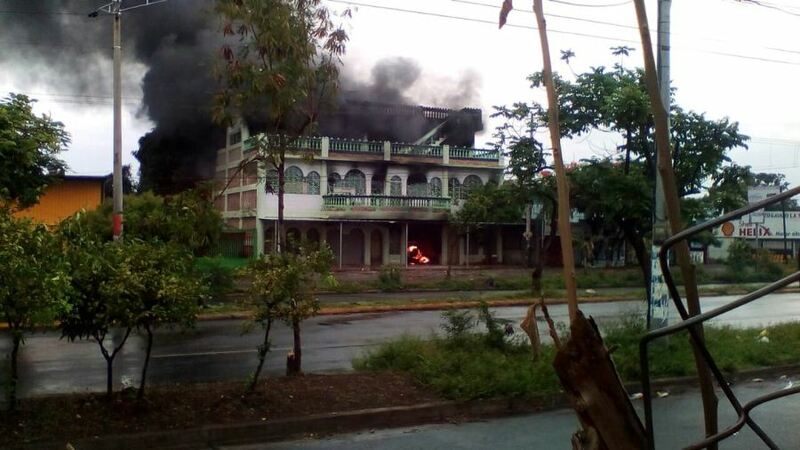 Armed civilians also destroyed a funeral home that is on the La Virgen roundabout, one block east, near the burned three-story property. Videos released today show dozens of civilians, accompanied by police, crossing the streets, with high-caliber weapons, such as AK 47, as well as pistols. Residents reported hearing long bursts of bullets, while mechanical shovels toppled barricades nearby.